For ten summers from 2007 to 2016 the Observer newspaper carried a popular illustrated feature called “You Are The Umpire.” Its creator was the English and international umpire John Holder. He highlighted unusual situations which he had encountered in a distinguished career. One I particularly remember: a batsman is hit on the helmet by a fast delivery. He is dazed and confused. He wanders into his stumps. The fielding side appeal for “hit wicket.” Umpire Holder’s verdict: not out. Any umpire should call “Dead Ball” the moment he knows the player is injured (he is lucky not to have to call “Dead Batsman”). Holder’s advice was instructive and beautifully illustrated by a distinguished sports artist, Paul Trevillion. But playing in the lower depths of cricket as I did throughout my career I encountered some situations which would have been beyond Holder’s experience. So over to the Society. What is your verdict on these four events, all of which actually happened? My answers below relate the outcome, right or wrong. In each case the decision was made by a member of the batting side, filling in as umpire. One: In one match in my later career, when fielders started wearing helmets, the wicketkeeper and the short leg decided to doff their helmets at the end of an over and after much deliberation placed them side by side behind the wicketkeeper. The batsman played one delivery of the over slowly to fine leg. At our level, this often earned two runs. To avoid this humiliation fine leg charged in, gathered the ball and produced an instant but rather wild throw. It struck one helmet and ricocheted immediately onto the other one. The batsman asked for ten bonus runs: the fielders held out for five on the grounds that the two helmets were conjoined as one. How many bonus runs would you award? Two. Batsmen’s runners always caused chaos at my level. As one match moved to a tight finish, two injured batsmen were at the crease. Each requested a runner. Astutely, the fielding captain agreed: he knew that it would end in tears. Injured batsman A, an indifferent performer, took guard. His runner went towards square leg, level with the popping crease. The runner for injured batsman B (a better performer, with a high opinion of himself) went to the non-striker’s end. There was some doubt where batsman B should stand, but he resolved this himself without reference to the umpires by walking over to the leg side at the non-striker’s end, parallel to runner A.
Batsman A squirted the next delivery just past second slip. Batsman B, seeing the chance to get the strike, wrongly called for a short single. Equally wrongly (but as so often happens) he forgot his injury and started running himself. His runner, who should have called, loyally obeyed his master and set off himself. Batsman A stepped back a couple of paces and wrongly called “Wait!” His runner loyally obeyed his master. In consequence, by the time second slip retrieved the ball four men with bats and pads were at the striker’s end. Predictably, both wicketkeeper and bowler called loudly for a throw. Second slip calmly took the right option and threw to the vacant non-striker’s end. The stumps were broken with a loud appeal. Which batsman would you have given out? Three: the side batting second in pursuit of a substantial total opened their batting with a shy, nervous boy of about 13. He grew in confidence and as wickets fell around him he took charge of the innings. He passed fifty, found a reliable partner, and brought his team comfortably ahead of the required run rate. He passed quickly through the 80s but in the 90s, on the brink of his very first century, his nerves returned and he could scarcely buy a run. His partner (and extras) took over the scoring and the boy began to lose the opportunity to complete a century. Finally, the scores were level, wickets in hand, but just two balls left. The boy was facing on 96. He attempted a big hit, miscued and sliced the ball. It trickled towards third man. His partner called him for a run and he did his duty for his team and ran to the other end. Backward point was a kindly soul who had been following the scoreboard closely. He chased down the ball, which had stopped, and when he saw the batsmen running he kicked it over the boundary to give the boy his hundred. Did he succeed with this generous act? Four: one of my teams had a regular opener who was incredibly stodgy. He was very hard to dismiss but even harder to accelerate. He used to announce grandly that his role was to “lay a platform”. In his case, the platform was made of slow-drying concrete. In one match, he had been in for over an hour and gathered ten runs. Like so many greater batsmen, he was “in the zone” where the outside world did not matter. I do not think he even heard our team’s pleas to get on with it. I went out to umpire at square leg. He blocked three more innocuous deliveries. The next was a long-hop. Even he could not resist. He took a big swing. It was mistimed and looped in the air towards square leg. Unfortunately, square leg was missing. I caught the ball myself as umpire, summoned mid-wicket and gave the ball to him. Was the batsman out? Now what happened next. One: the umpire awarded the batsman five bonus runs only, not because he treated the helmets as one but because he ruled the ball dead as soon as it struck the first of them. I think this was right. Two: Batsman B was ruled out. The umpires took no account of the movements of the batsmen, only the two runners. Runner A never abandoned the striker’s end and was still in his ground. Runner B had abandoned his ground and was run out when the non-striker’s stumps were broken. I think that this was right under the Laws but I know that both umpires personally disliked batsman B. Three: the boy was not awarded his hundred. The senior umpire (joined by the scorer) decided that the game was over when the winning single was completed. I think that this was right, but here too there may have been personal factors. The senior umpire was the boy’s father, a dour Yorkshireman and a stickler for “proper cricket.” He told the kindly backward point that a century had to be earned, not gifted. The scorer was the boy’s jealous younger brother. Four: I persuaded my colleague that the dismissal stood because the ball is still in play when it hits an umpire. The batsman objected that there had been no appeal. I told him that I had heard multiple appeals from the batsmen waiting to go in. This situation is not envisaged in the present Laws. The other gave decisions largely on the basis of artistic impression, like an ice skating or gymnastics judge. He would often give batsmen lbw if they were attempting an ugly cross-batted heave, but not if they tried to flick the ball beautifully off the pads. Similarly he would often refuse appeals by boring workaday seamers but grant them to tweakers and mystery bowlers. I owe him a lot of my early victims. Richard Heller is the author (with Peter Oborne) of White On Green celebrating the drama of Pakistan cricket, which was shortlisted for the Cricket Society/MCC Book of the Year in 2017. 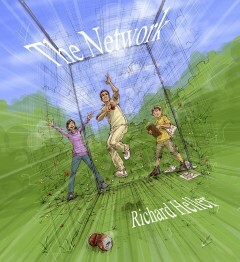 He is the author (alone) of two cricket novels A Tale Of Ten Wickets and The Network. He is in the twilight of a long cricket career which never really had a dawn.